A few days ago, user Aerrix posted on Reddit that she had won Secret Santa. That’s because she had taken part in Reddit’s annual gift exchange, and instead of receiving a nice holiday gift from just any old stranger on the Internet, she got a package in the mail from the richest person in the world: Bill Gates. This is nothing new of course. The co-founder of Microsoft has been taking part in these exchanges for several years now. The tech entrepreneur turned philanthropist (or someone who works for him) gifts someone a bunch of stuff that’s tailored to whatever preferences they listed when signing up, with the addition of a donation made in their name to a related charity or relief organization. Then the person receives the package, does a double-take when they realize it’s from Gates, and proceeds to rave about their haul to the Internet. Which is what happened with Aerrix, who, being a big gamer and huge fan of Nintendo, found herself now in possession of everything ranging from an Xbox One and Zelda mittens for her dog to an NES Classic. That’s one way to get your hands on the nostalgia machine that’s still sold out most places, or being resold at incredibly marked up prices through sites like Ebay. A representative for Bill Gates confirmed to IGN that the package was indeed authentic. 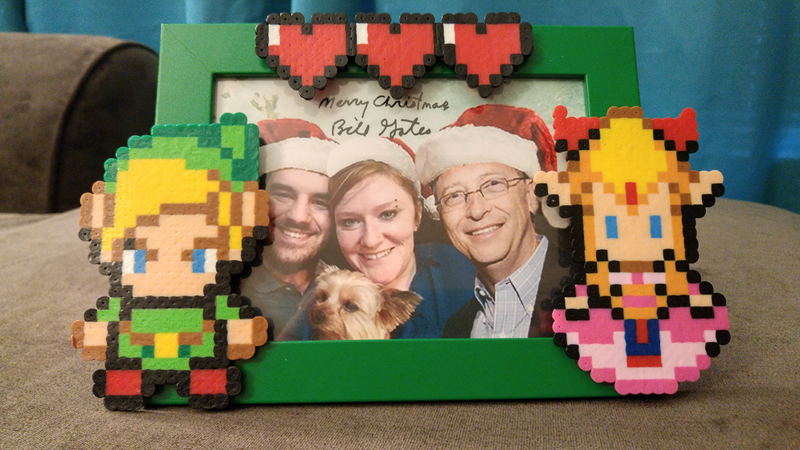 “Merry Christmas to all yall out there, and to Mr. Gates, who has the biggest heart and REALLY KNOWS HOW TO TREAT A GIRL TO SOME VIDEO GAMES (and video game paraphernalia)! I’m just blown away by his generosity, which went even further than all these gifts because he submitted a donation to code.org in my name to give more students the chance to learn computer science, which is AWESOME because it’s something near and dear to my heart as my husband is a programmer and my brother has a degree in computer science! You can see the rest of her Secret Santa saga documented here.